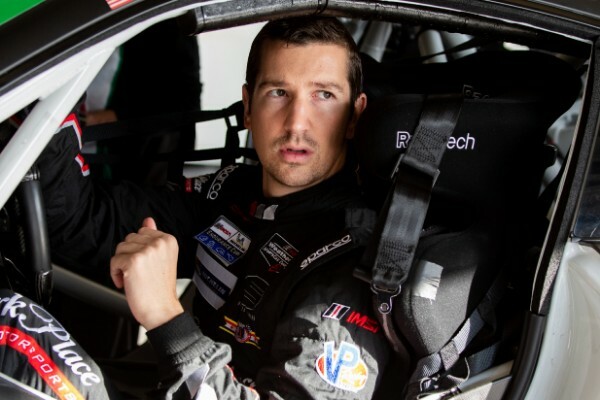 Park Place Motorsports Team Principal and driver Lindsey finished third in the FIA World Endurance Championship’s 1,000 Miles of Sebring, and now his Team Project 1 No. 56 Porsche RSR sponsored by Park Place Porsche are sitting first in the GTE Am points championship. While there were no podium celebrations the next day after finishing sixth in the Mobil 1 Twelve Hours of Sebring the finish was strong enough to keep Lindsey and Park Place Motorsports sixth in the IMSA WeatherTech GTD Championship. In less than 24 hours over 2,000 miles were turned by the No. 56 and No. 73 Porsche on North America’s most challenging track for both car and driver. Each series finished Sebring at opposite ends of its respective season, but the weekend held a pivotal point for both. In the FIA WEC Lindsey has only two races remaining after Sebring. In North America, Lindsey is two races into the IMSA WeatherTech SportsCar Championship. “I think I had the highest drive time in the WEC car and in the IMSA car I hit over minimum drive time so I think I drove right around seven hours between the two races,” Lindsey said. “After three stints in the RSR I felt pretty good. The seat is slightly tighter, steering forces are slightly less and my body was still fresh so I felt good. The eight-hour FIA WEC race offered up a higher number of points heading into the end stretch of the Super Season. Team Project 1 will show up to Circuit of Spa-Francorchamps 25 points ahead of the competition but sans extra track time. 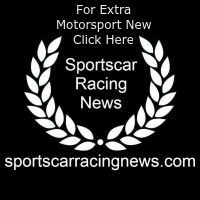 A devastating engine fire during Sebring testing forced the team to use a backup Porsche for the race, the same Porsche scheduled to be used for the Spa test next week. A podium finish at Spa and a hint of luck would keep the team in the championship lead before the final race in Le Mans. A massive victory for Project 1 in its maiden season of FIA WEC. Lindsey’s sixth-place finish at Sebring was prefaced with an eighth-place finish at the Rolex 24 At Daytona. While top-ten finishes seem less thrilling, the results are some of the best posted by Park Place Motorsports in the opening endurance rounds. In 2017, Park Pace Motorsports’ last full season run, it earned third in the GTD points championship after digging itself out of a points deficit due to an unideal finish at Daytona and a sixth place at Sebring. The sixth place championship start is a promising for Lindsey and works driver Patrick Long who continue together into the IMSA WeatherTech SportsCar Championship sprint season. “There was no disappointment to leave with a sixth-place finish in IMSA,” Lindsey said. “Knowing we have the ability to go do slightly better than average in the second half of the season brings good moral after two top-ten finishes. We tied our best finish from 2017, that came after getting hit in Daytona and not finishing so we earned basically no points, then completed the end of the season as the highest points finishing car. Both teams are walking away with nothing less than massive quantities of work remaining before the next race. Team Project 1 has until May to be back in working order. Park Place Motorsports has selected to run the Intercontinental Blancpain GT Challenge powered by Pirelli California 8 Hours at Laguna Seca before its next IMSA event in May. Lindsey will not be a part of the driving lineup, earning a well-deserved break after completing two races on the rough terrain at Sebring with a mere eight hours between the end of the FIA WEC race and the start of IMSA track activity on race day. Lindsey’s next IMSA event is the Detroit Grand Prix Presented by Lear May 31 and June 1. He will opt out of running the next GTD race at Mid-Ohio Sports Car Course May 3-5 for running Spa-Francorchamps with the FIA WEC. Park Place Motorsports will contest the GTD season in its entirety, Lindsey’s stand-in for Mid-Ohio has not been selected.